JayWalk - All Your Xmms Are Belong To Me: Bird Brain Inc. This IS for real. 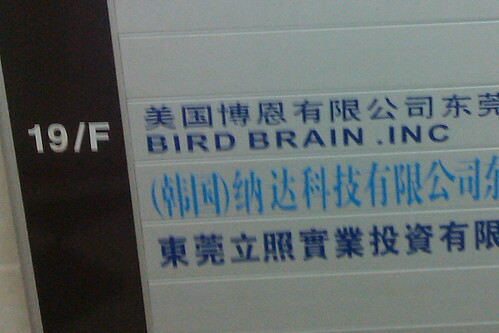 There is a company really called Bird Brain Inc.
Found this at the office directory at the lift lobby of my sales office. I bet you when they get to IPO (if they get to IPO), confirm sure under-subscribe one.